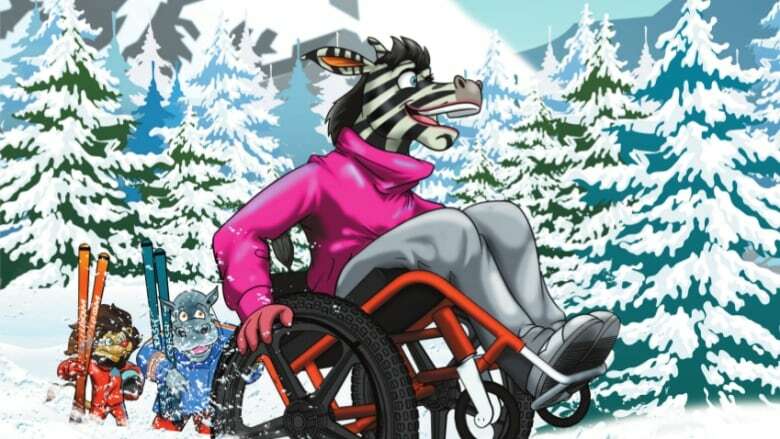 The author of a popular children's book series in Prince George is using his platform to teach kids about inclusion in sports. At first, the characters are confused about why she's there but soon discover she is an accomplished sit-skier. "She doesn't have a disability. She has different abilities from them," Fielding explained to CBC Daybreak North host Robert Doane. "It's great for kids to see that we're all special in our own way." Listen to L.A. Fielding explain the inspiration for his stories. 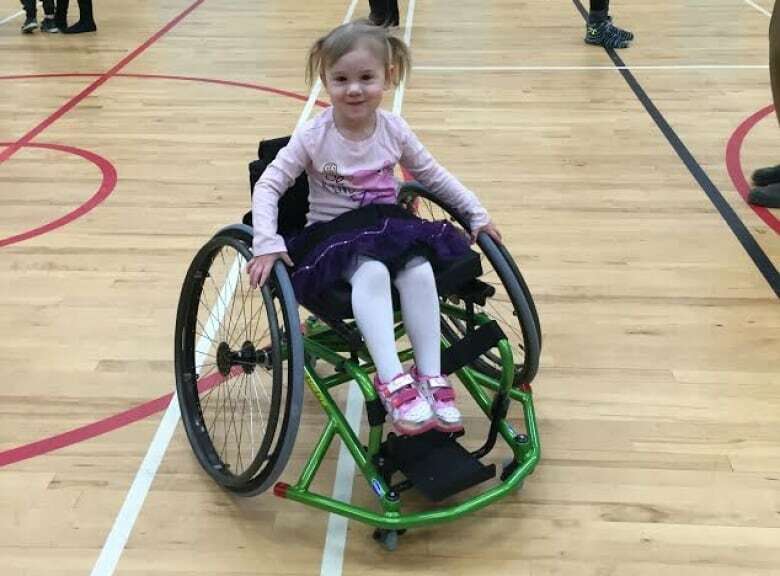 Fielding was inspired to write the book after meeting Nancy Harris, the coordinator for wheelchair basketball in northern B.C. She told him her husband is in a wheelchair and plays the sport and her son, who doesn't need a wheelchair, enjoys playing with him. "Her message resonated so much with me ... I started working on that book," he said. "I hadn't written a message of inclusion or a book about inclusion." He also decided to put 50 per cent of his earnings from the book aside to take that message further. 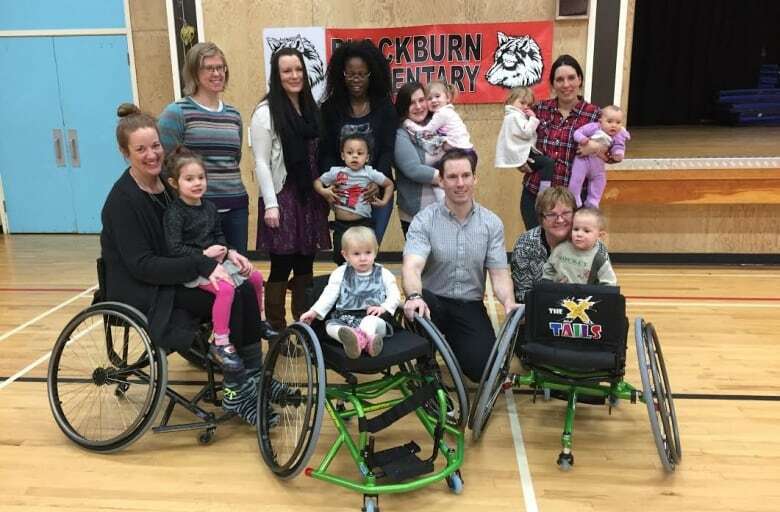 This week, he was able to donate two sports wheelchairs to Prince George StrongStart, an early learning program for kids between 0 and five years old. He hopes by having the chairs, children will learn to incorporate everyone into their play. "It's a great opportunity for them to be inclusive with their friends. If their friends have a disability, they can play together," he said. "Anyone can use a sports wheelchair. They're a lot of fun." For more stories from northern British Columbia, join the CBC Daybreak North — Northern British Columbia community on Facebook.